Building will house Portland Bureau of Planning and Sustainability and programs for PSU, PCC, OHSU. Fifteen years ago, when Portland-area dentist Hadi Nouredine would run an ad for a dental assistant, he could count on receiving 15 to 20 applications. That's not the case anymore. "Now, you put out an ad and you get nothing," said Nouredine, who is co-owner of seven dental clinics in the Portland metro area. "There aren't enough programs for the demand." 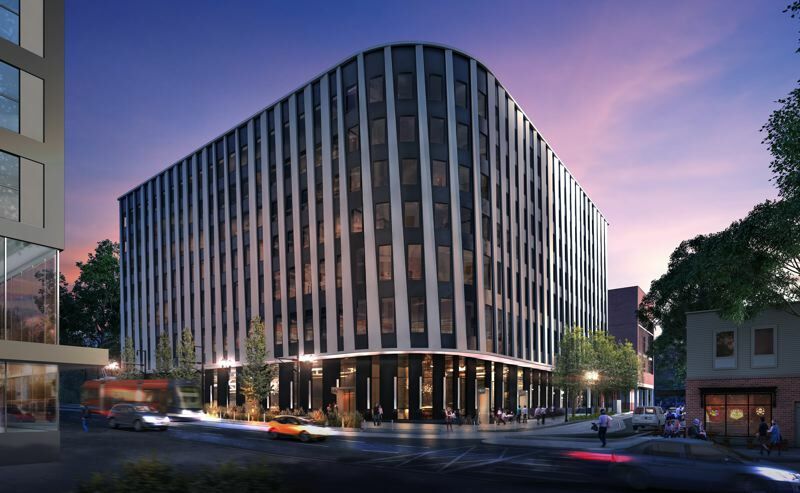 There's a solution on the way, though, now that the Fourth and Montgomery Building has officially broken ground on the edge of the Portland State University campus in downtown Portland. Once the building opens in fall 2020, it will provide much needed space for Portland Community College to expand its dental hygiene and dental assisting programs. The community college will be just one of four owners of space in the six-story building. In a unique arrangement, Portland State University, Oregon Health and Science and the city of Portland also have contributed to the cost to construct the building. Once the project is completed, the four partners will be co-tenants in the seven-story building. "We are more than just financial partners; we are partners in growing a healthy, educated and sustainable Oregon," PSU President Rhamat Shoureshi said during a Jan. 11 groundbreaking ceremony for the project. The 175,000-square-foot building also will contain a dental clinic and low-cost mental health services that the public will be able to access. Ground-floor space will accommodate retail and restaurants. The land the building will sit one previously served as a parking lot to the east of PSU's Academic and Student Rec Center. 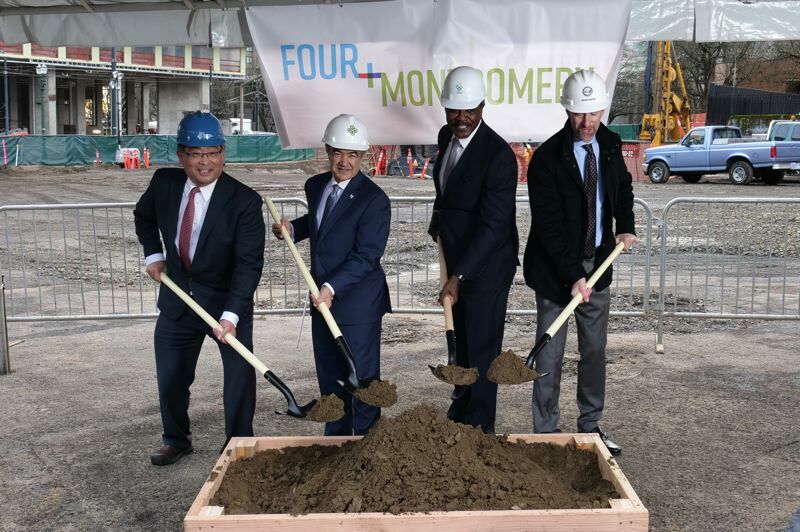 The city, through Prosper Portland, conveyed the land to the project partners, Mayor Ted Wheeler, told a crowd that gathered for groundbreaking ceremony. The land was valued at approximately $7 million, according to Wheeler. The project also received $51 million in state bonds, which Gov. Kate Brown approved in 2017. The project partners will pick up the remaining cost of the $104 million project, according to information provided by PSU. Designed by SRG Partnership with Andersen Construction as general contractor, the group is pursuing a gold rating in the U.S. Green Building Council's Leadership in Energy and Environmental Design green building program for the project. The team also is committed to award at least $20 million worth of work to firms certified as minority — or women owned or veteran service — disabled firms or emerging small businesses through the state's COBID program. The groundbreaking event was a chance for Nouredine to support the three institutions that helped him become a dentist. He started his education at PCC the early 1980s before attending PSU and then moving on to OHSU to finish his training. Having all three institutions in one location will make it easier for the schools to coordinate training for students while also benefit local employers in the health care market, he said. Although the PCC dental program expansion is still nearly two years way, Nouredine thinks the result will be worth the wait. "PCC doesn't have enough spots [in its dental program]; the school can only take 18 to 20 students at a time," he said. "This will allow them to create more space, which is going to help the demand for public health professionals. It's going to be an amazing thing for all of Oregon."